The Raspberry Veranda is a welcome addition to cocktails using sweet tea vodka—this is no simple twist on an Arnold Palmer! Instead, this cocktail uses the sweet tea vodka, sour mix, triple sec, lime juice, and Chambord. 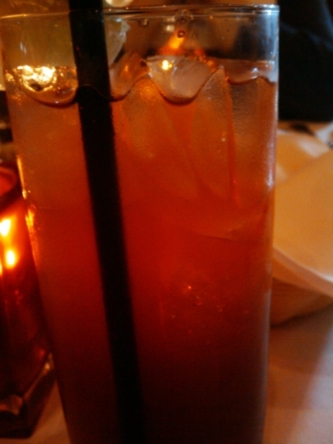 It combines very nicely into a sweet drink that, not shockingly, resembles a raspberry iced tea. It’s a little too sweet for my palate, but the color was gorgeous as was the subtle use of citrus flavors to accentuate the raspberry. The tea flavor is mild, but I don’t think I’d want it to be any stronger, and frankly, I appreciate a little imagination in using it. It’s well worth a drink!